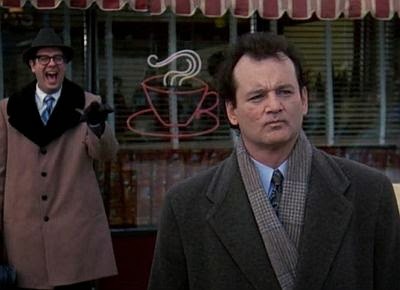 Well, Bob, you'll now have one less book to buy at SBL! But for me that Church of which the Pope is the acknowledged head on earth has as chief claim that it is the one that has (and still does) ever defended the Blessed Sacrament, and given it most honour, and put (as Christ plainly intended) in the prime place. “Feed my sheep" was His last charge to St. Peter; and since His words are always first to be understood literally, I suppose them to refer primarily to the Bread of Life. It was against this that the W. European revolt was really launched—"the blasphemous fable of the Mass"—and faith/works a mere red herring. It is that time of year again! The masks are being touched up. The costumes are at the cleaners. The dirty tricks and sweet treats are on their way. Of course, I'm talking about the AAR/SBL fright night. Last year, I created a taxonomy of the different creatures that you're likely to meet at this professional conference. Now you can determine which mask you will don this year. Take this quiz to find out which conference-personality type fits you best. Quiz: Which Conference Participant Are You? A couple days ago I was alerted to this short article by Rabbi Laura Geller. 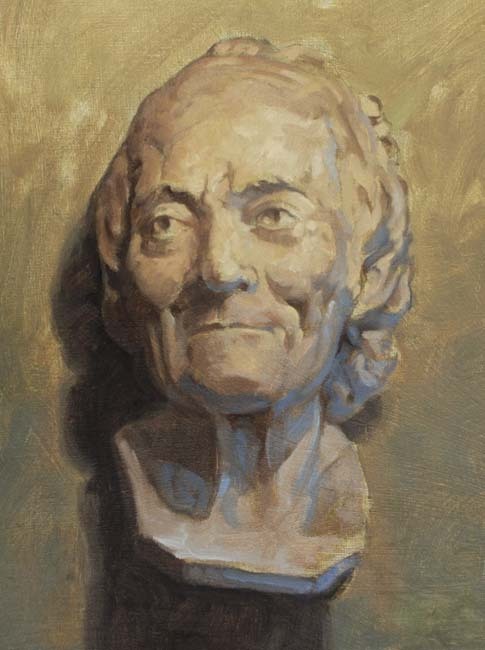 Geller showcases Regina Jonas (1902–1944). 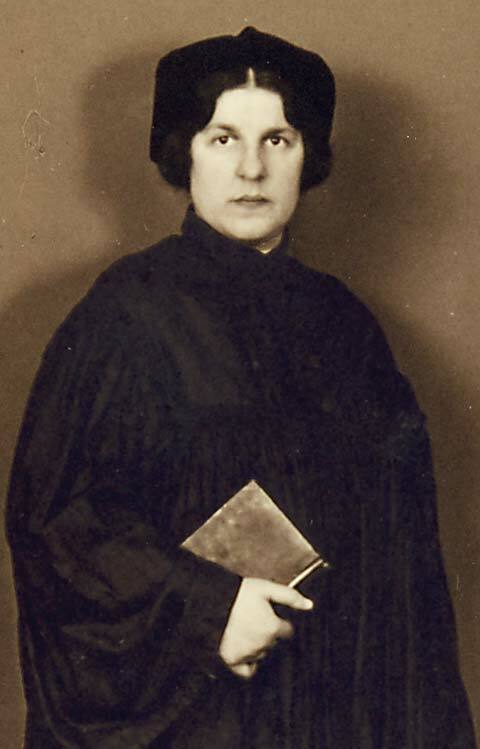 Jonas studied at the Higher Institute for Jewish Studies in Berlin until 1930 in prelude to her ordination (conducted in a private ceremony). Until very recently Regina Jonas was all but unknown to historians. She is now commemorated as the first female rabbi. While her story began to surface in the 1970s, Katharina von Kellenbach (author of this amazing and devastating book) discovered documents that confirmed Jonas' ordination in 1991. For more on Regina Jonas, see here. But Rabbi Geller's article should be read in full too for a unique window into social memory. 1. Social Memory theorists tell us that memory is constructed and reconstructed within social frames. Certainly gender and gender privilege operate as social frames. The vast majority of history is framed socially by masculine remembrancers. 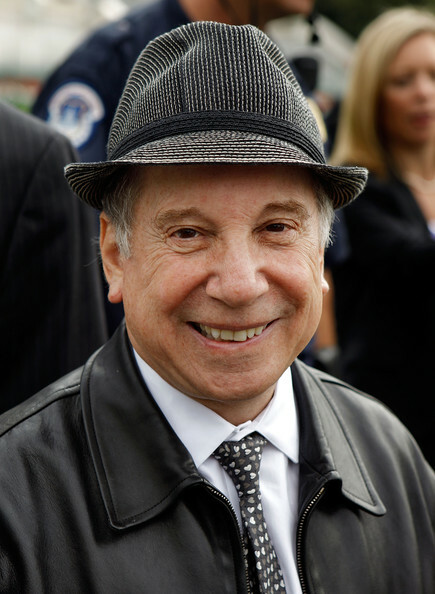 Or as Rachel Adler told me earlier this year, "Those with the 'members' get to do the remembering." Do we witness in the story of Regina Jonas a case of repressed memory due to mnemonic power dynamics? 2. Rabbi Geller writes: "in my years as a rabbinical student at HUC-JIR, from 1971 to 1976, not once did I hear her name. It would have been helpful to me, the only woman in my class, to have known her story." Could it be that the memory of Regina Jonas has found a more advantageous mnemonic frame? I.e. are the social conditions now more conducive for her commemoration? 3. If the answer to 1 is yes and the answer to 2 is yes, are we not in a better position to remember her now than we were 80 years ago? Sometimes our memories improve over the course of two generations and with the help of new social constructs. 4. Regina Jonas' story is swallowed up by the Shoah. There are times when a significant historical event eclipses all other stories that orbit it. One would be hard pressed to find a more significant event within Jewish social memory. Geller writes, "Though her thesis—“Can a Woman Be a Rabbi According to Halachic Sources?”—received praise from her teachers, none of them agreed to ordain her, including Rabbi Leo Baeck, the leader of the Jews in Germany, who wasn’t willing to jeopardize the unity of the Jewish community as the Nazi threat was intensifying." Perhaps then, Jonas' story was in the process of eclipse even before the Shoah but already within its force of gravity. 5. Finally, it would be counterproductive to create an either/or with the mnemonic frameworks discussed above. We should not think that the framework of gendered commemorative practice will entirely explain the form and function of Jonas' story. Nor should we think that the framework of Shoah commemoration tells the whole story. Mnemonic frames overlap. Indeed whenever a historical figure occupies a monolithic frame in collective memory, you can almost always be sure that the memory of that figure has been unhelpfully reduced. I am grateful to Rabbi Geller for her short but impressive article. I will be considering this fascinating story for a long while. In scholarship, and this has been true for a very long time, we are tempted to privilege newer research. There are good reasons for this. Old assumptions ought to be questioned, new material evidence ought to be considered, we ought to learn from interdisciplinary and previously ignored voices, etc. This, of course, does not mean that newer is better, only that rethinking old problems tends to be a good thing. I learned recently that Prof Dale Allison instructs his students to find a ratio between old and new research to guide their reading. For example, you might decide to read one old book for every three new books, or one old article for every four new articles. I thought that this is an interesting way into the problem of media saturation. After all, it is impossible to read everything that is published. Even if you're able to read everything in your given field of research, the interdisciplinary nature of academia is means that you must discern which books to leave on the shelf. The danger, of course, is that books that are dated land at the bottom of the priority list. A friend of mine just picked up Robert Alter's The Art of Biblical Narrative. This book was first published in 1981 (the same year that Ric Flair defeated Dusty Rhodes to win his first World Heavyweight Wrestling Championship, in case you forgot). This book is a must read for anyone who cares about the Bible. But unless it has been assigned to you in a class, you probably wouldn't know how important it is. Or consider the exciting new work on Jesus' parables being done by Amy-Jill Levine and Ruben Zimmermann (et al.). I would highly recommend the books produced by these fine scholars. But not if I thought that it meant that the masterful work of Klyne Snodgrass was in danger of being grandfathered. This book was published as recently as 2008 but fathers become grandfathers at an alarming rate these days. Given the ever-present danger of forgetting the scholarship of just a few years ago, one wonders whether the work of Joachim Jeremias will continue to be read. I think that the "Allison Rule for Reading" might help in this regard. So I put it to you: what are some good books or articles in biblical studies that are "old" but should be prioritized on the reading lists of young scholars? 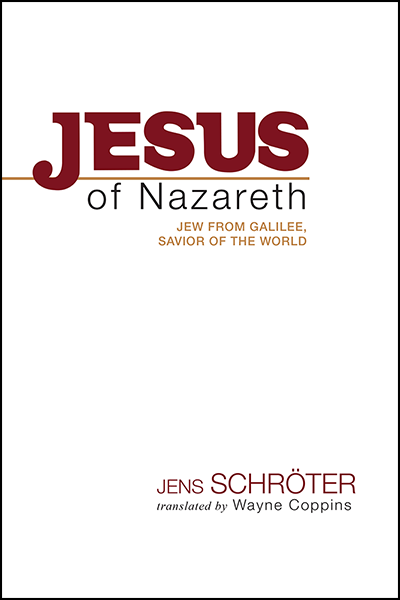 The good folks at Baylor University Press are allowing us to give away a copy of Jens Schröter’s Jesus of Nazareth. You can sign up by doing any of the following: (1) leave a comment on this post; (2) share this post on any social media, and leave a comment saying you did; (3) sign up to follow the Jesus Blog, and leave a comment saying you did; or, for the wildcard (4) provide some captions for the pictures of the Jesus Bloggers on the side of this blog wherein one seems sad and the other two are smiling. Earlier this year, I succeeded Mark Goodacre as the editor of the Library of New Testament Studies (Bloomsbury T&T Clark). 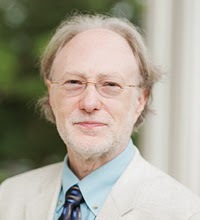 One of the first tasks we undertook was to shift the editorial board just a bit and I was able to recruit two new members to the board: Lynn Cohick, Professor of New Testament at Wheaton College, and Dale Allison, Richard J. Dearborn Professor of New Testament at Princeton Theological Seminary. I want to recognize them officially today and formally welcome them. 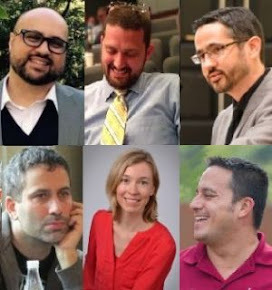 They join fellow members of the editorial board John Barclay, Alan Culpepper, Craig Evans, Robert Fowler, Simon Gathercole, John Kloppenborg, Michael Labahn, Love Sechrest, Robert Wall, Steve Walton, and Catrin Williams. We are always on the lookout for promising monographs in New Testament studies, so if you have an idea or a manuscript, please get in touch with me or a member of the board. My own position is not Fundamentalist, if Fundamentalism means accepting as a point of faith at the outset the proposition “Every statement in the Bible is completely true in the literal, historical sense.” That would break down at once on the parables. All the same commonsense and general understanding of literary kinds would forbid anyone to take the parables as historical statements, …. Books like Esther, or Jonah, or Job which deal with otherwise unknown characters living in unspecified period, & pretty well proclaim themselves to be sacred fiction. Such distinctions are not new. Calvin left the historicity of Job an open question and, from earlier, St. Jerome said that the whole Mosaic account of creation was done “after the method of a popular poet.” Of course I believe the composition, presentation, & selection for the inclusion in the Bible, of all the books to have been guided by the Holy Ghost. But I think He meant us to have sacred myth & sacred fiction as well as sacred history. I think that many Bible professors wish that their students possessed the category of "sacred fiction" as Lewis did. For too many, the category of "fiction" precludes the qualifier "sacred." But until this category is in place, the category of "sacred history" will be misunderstood. "If Christians want us to believe in a Redeemer, let them act redeemed." From 1977 onward and the work of E.P. Sanders (though not without precedent--see e.g. George Foot Moore), New Testament scholarship has become increasingly aware of previous stereotyping of Judaism as cold, harsh, legalistic, and so on. From the 1990s onward (though not without precedent--see e.g. Geza Vermes), it became increasingly common in New Testament scholarship to investigate or point out its Nazi and fascist past (largely) prior to WWII. 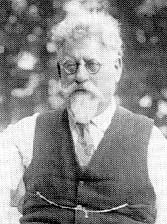 As a point of contrast, we might note Rudolf Rocker (1873-1958) who, during the rise of German fascism, was a fierce critic of what was happening in the place of his birth. Rocker was not a New Testament scholar but was fiercely critical of one of the more notable advocates of an Aryan Jesus, Houston Stewart Chamberlain, and his now infamous book Foundations of the Nineteenth Century (1899). Despite being an anarchist writer who had little time for religion (he believed it underpinned state and political power), he was also critical of Chamberlain's understanding of Judaism decades ahead of much of New Testament scholarship. [According to Chamberlain] the German is the specially chosen minister of the Protestant mission, through which Christendom is first made aware of its true content. That the Christian had thoughtlessly chosen the Jew, Jesus, for his savior was surely a bitter pill; it was too late to undo that. But was it not written in the Gospel that Christ first saw the light in Galilee? 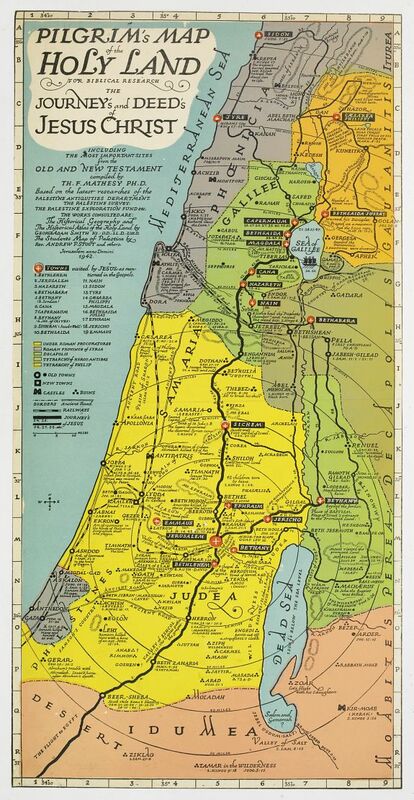 And immediately the "instinct of the race" came to Chamberlain's aid and informed him that in just this part of Palestine extensive crossing of races had occurred and, above all, that in Galilee Germanic stocks had settled. Must one not, then, admit that Christ had been a German? It was, in fact, unthinkable that out of "materialism drunken Jewry" a doctrine could come to whose spiritual content the Jewish mind is completely opposed. Chamberlain revealed an utterly morbid hatred of everything Jewish. 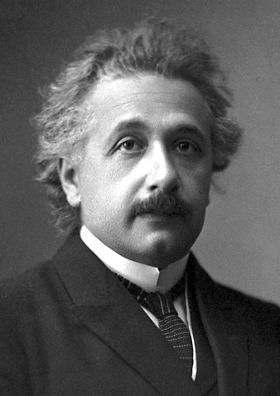 He even ventured to assure his credulous readers that a Germanic child, the keenness of whose senses had not yet been ruined or blunted by the prejudices of adults, could tell instinctively when a Jew was near him....To be sure, he based his preference for the Sephardim on the assumption that they were in reality Goths who had been converted to Judaism in large numbers--a recognition which came to the great master of unproved assertion rather tardily, as it first appears in the third edition of his book. How the Goths, those genuine branches of the noble tree of Germandom, in spite of their "mystic inclination" and their inborn sense of "religious profundity," which according to Chamberlain are the heritage of their race, could throw themselves into the arms of "materialistic Judaism" with its "dead ritualism," its slavish obedience," and its "despotic God" remains an unsolved mystery. In this case the "race in their own bosoms" must have failed outright; otherwise the wonder is not explained. There is hardly another work which reveals such unexampled unreliability in the material used and such reckless juggling with bare assumptions of the most daring type. An expanded version of this is found at Harnessing Chaos. Status updates on Facebook are dangerous these days. My most recent Facebook update “just read Dale Allison's excursus on the Kingdom of God in Constructing Jesus - remarkable: wish I could go back and tell various undergraduates that they might not have been as incorrect as I led them to believe” resulted in a surprising invitation from Anthony Le Donne to do a guest post about the kingdom of God with a few insights from my recent reading of Constructing Jesus. This is a kind offer, which I shall take very literally, sharing only “a few insights” that will hopefully direct others to Allison’s characteristically insightful discussion. It is not uncommon to find students equating the kingdom of God with a notion of “heaven” in the sense of “a place up there” or “a place that Christians will go to after they die”, and I have tended to respond by saying something like “we shouldn’t think of the kingdom of God as ‘a place that is somewhere else up in heaven’, but as a way of speaking of God’s kingly rule, as a way of speaking of what things look like when God rules as king”. I still hope that such words are not completely off target, but my reading of Dale Allison’s excursus on “The kingdom of God and the World to Come” in Constructing Jesus (pp.164-203) leads me to believe that my students might not be as wrongheaded as I suspected. mea culpa. As this last quotation shows, Allison does not attempt to squeeze all the hē basileia tou theou texts into a single mold. What he does do, however, is provide strong arguments for the view that a good number of them mean something like God’s new world, which has at least some points of contact with what my students mean when they associate the kingdom of God with “heaven”. And so I must return to the drawing board and think about how best to talk about this key phrase, how best to discuss its continuities and discontinuities with what Christians have referred to as “heaven”, and how best to relate it to what happens on earth. This past week Dale Martin's provocative JSNT essay has provided this blog with a great deal of fodder. This essay was first alerted by Chris Keith, Brian Pounds offered a two-part rebuttal, I pointed readers to Simon Joseph's post, James Crossley used this topic as an opportunity to rethink a couple well-worn categories in Jesus research, and Dale Allison provided me with a few rough reflections on the essay. World News Daily Report (which is not the most reliable source for news) is "reporting" that archivist Ignazio Perrucci has discovered a document written by Marcus Velleius Paterculus (c. 31 C.E.) in the Vatican. If this is not a hoax, it contains the earliest textual evidence for Jesus of Nazareth and describes Jesus' raising of a stillborn child. I do not doubt that this report will generate a good deal of speculation over the next few days. Let's cut right to the chase on this one: this is a fake story, invented by a fake news webpage. 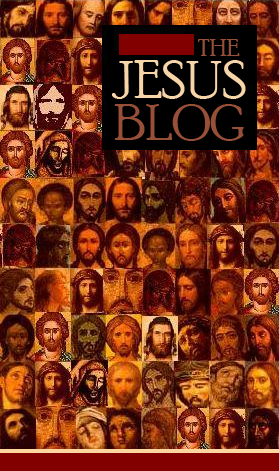 Over the weekend, The T&T Clark Blog put up a podcast where Dominic Mattos, editor of Bloomsbury T&T Clark interviewed me (over a year ago now) about the current state of Jesus studies, including criteria of authenticity and the contributions of social memory theory. Among several things he asks is whether I think social memory theory is a fad in Jesus studies. I'll let you listen there instead of offering my full answer here, which might not be exactly what some readers of this blog would think. 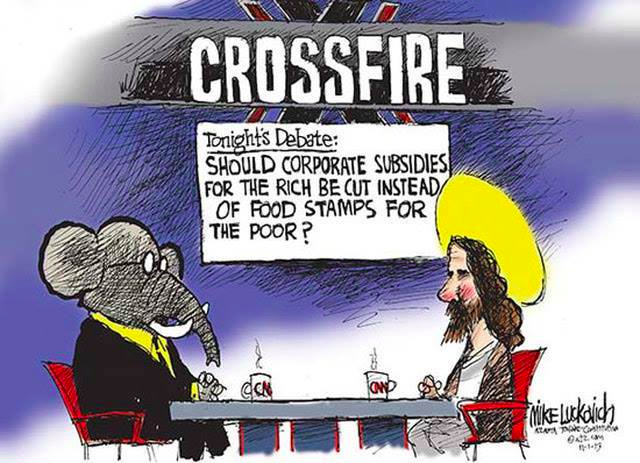 Perhaps we can come back to it later on the Jesus Blog, though. "For many scholars it [textual criticism] still is a boring and bone-dry discipline for weirdos who are not creative enough to do proper theology." "For theologians, papyrology and palaeography are still nothing more than arcane disciplines or rather bizarre occupations for strange people." Hilarious. If you happen to be one of those people, I'd encourage you to read the classic study of D. C. Parker, The Living Text of the Gospels, Bart Ehrman's Misquoting Jesus, or Robert F. Hull's The Story of the New Testament Text. I'm not saying that Jason Bourne is going to be in any of them, but each of these studies in its own way shows just how fascinating the study of early Christians and their books can be. Following on from the post on the term ‘revolutionary’, I want to look at another term that is commonly used in historical Jesus research but which may also raise problems: ‘nationalism’. It is common enough to read phrases such as ‘nationalistic movement, ‘Jewish nationalism’, ‘nationalistic associations’, ‘nationalistic tendencies’ etc. Of course, as with any definition, people may be using it in ways that are based on ancient understandings but terms relating to ‘nationalism’ are not always defined and carry problematic connotations when studying the ancient world. Probably the biggest problem is that assumptions surrounding ‘nationalism’ as associated with, for instance, the nation state, are part of a relatively modern phenomenon. 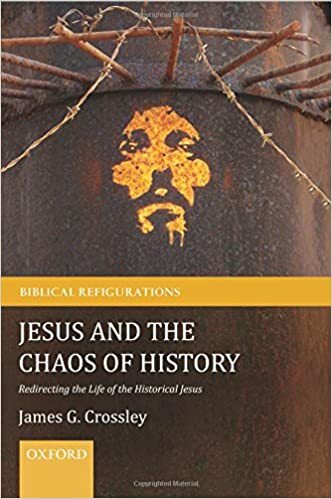 In this respect it is also worth noting that the rhetoric and assumptions of modern ‘nationalism’ and nation states are embedded in the history of historical Jesus studies which emerged as a strong European nationalism was emerging. Might this not have had a profound historic impact on the assumptions of the field of historical Jesus studies? There are criticisms and qualifications of this sort of thinking about the development of nationalism and the nation state and other possibilities can be raised, such as whether we can talk about ‘proto-nationalism’. We can at least argue that ‘nationalism’ is a phenomenon or construct that has undergone significant historical and semantic changes over the centuries and to such an extent that it can be difficult to reapply its use from one context to another. Nevertheless, what do scholars actually mean when talking about ‘Jewish nationalism’, particularly when undefined? If we could say that one possibility is something like having a king or divine king ruling over territory, what kind of territory might this be? We might imagine some thinking about territory from Dan to Beersheba or seemingly ‘natural’ boundaries such as something that stretched as far north as the Taurus Mountains (1QapGen 17.10). But what more? What sorts of borders were envisaged in ‘Jewish nationalism’? Presumably not the strict borders sometimes confidently presented in a ‘biblical atlas’. Were borders even envisaged? What sort of political infrastructure is envisaged? Towns dependent on Jerusalem? Armies? Garrisons? Unification across territory or communities over issues like Sabbath observance and taxation? So, should the word ‘nationalism’ even be used when talking about the ancient world? Or am I worrying too much about definitions? One of the most prominent threads of modern historical Jesus research is the thesis that Jesus was an apocalyptic prophet. I don't know if this thesis has won the day, but the voices that support this thesis have had more longevity than those supporting others. In my lifetime the voice with the most longevity and gravitas on this topic has been Dale Allison. I am of the mind that in order to make progress in our debates over Jesus' violence or nonviolence, we must discern what sort of apocalyptic categories best explain Jesus' hopes and aspirations. Professor Allison isn't so sure that (a) we can recover such categories with any confidence and (b) that a better understanding of these categories would help even if we could. I will have to think about this a bit more before I give up my initial curiosity – perhaps in a future post – but my knee-jerk thought here is that there is much more to be said about first-century apocalyptic, even if Dale has exhausted his interest in the topic. Happily, Dale reflected a bit on Dale Martin's recent JSNT essay anyway. In the email exchange that follows, Allison offers a brief explanation of his own background to the Jesus-as-zealot thesis and asks four questions unaddressed by Martin's essay.